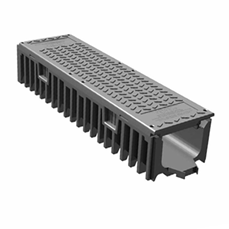 TroTred is specifically designed to deliver a combined high capacity cable trough route and safe walkway (safecess) into the rail industry. 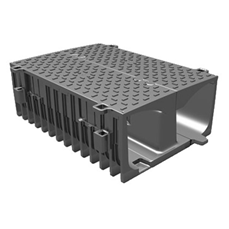 The patented design combined with innovative raw materials enables safe handling and high installation rates without any loss or damage. 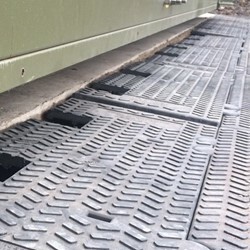 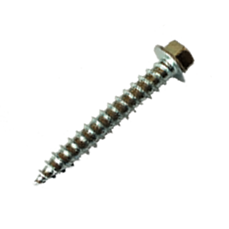 Therefore ensuring that TroTred offers significant savings on installed costs when compared to the installation of a separate trough route and safecess. 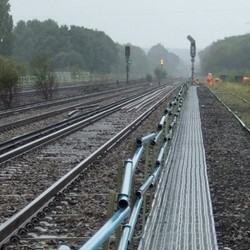 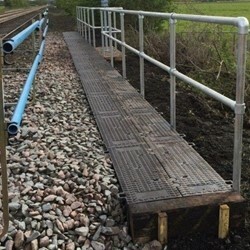 TroTred complies with Network Rail standards eliminating the need for a cable route and a separate walkway and won the Network Rail Partnership Award for Innovation 2010! 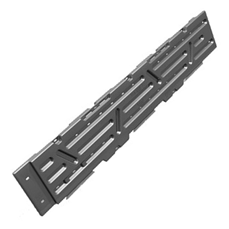 Dims- H385mm x L1000mm x W736mm?